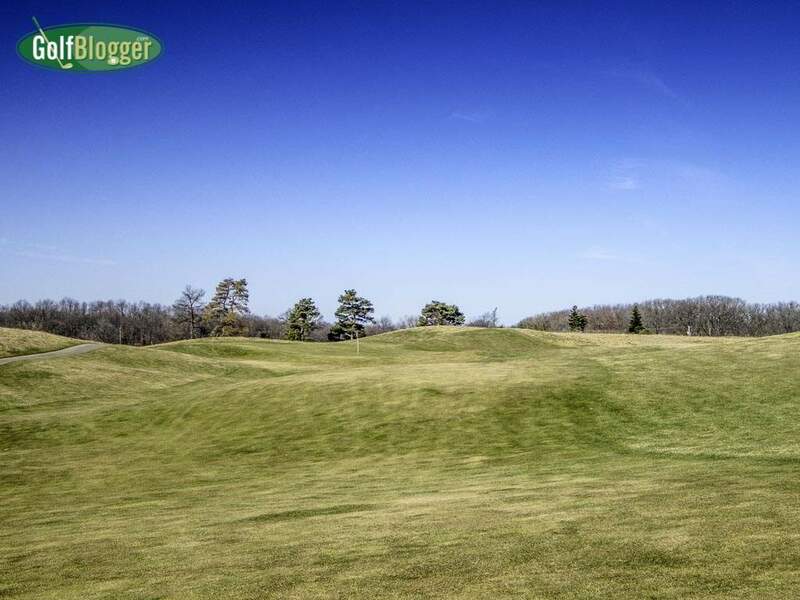 Chilly temperatures contrasted with clear blue skies for today’s round at Calderone Golf Club in Grass Lake, Michigan. The thermometer registered in the upper thirties when I started, but was in the low 50s by the time I finished. All that sun made it seem warmer than it was. 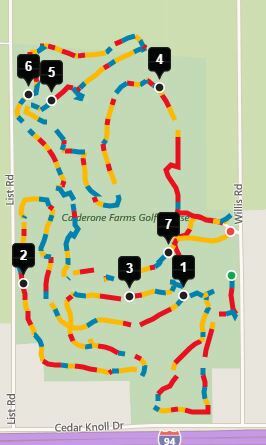 I decided to play Calderone today because it is a big course and a healthy hike that I prefer to do in cooler weather. All told, I covered seven and a half miles of hilly terrain. In hot weather, that is really draining. You can read my review of Calderone Golf Club here. As is usual on these early season outings, my round was a mixed bag. I was unusually short –even for me — off the tee, but manage to make up for it with some really good pitching, chopping and putting. Those are my saving graces under any circumstances, but I relied on them even more today. I had as many one putts today as I can ever remember in a round. Sticking it close with a pitch from 60 yards. An unusual sight today was smoke and fire from a controlled burn in the wilderness areas between the eleventh and twelfth holes. During the height of summer, that area — and all the areas between holes at Calderone — are filled with dense, tall prairie grasses. 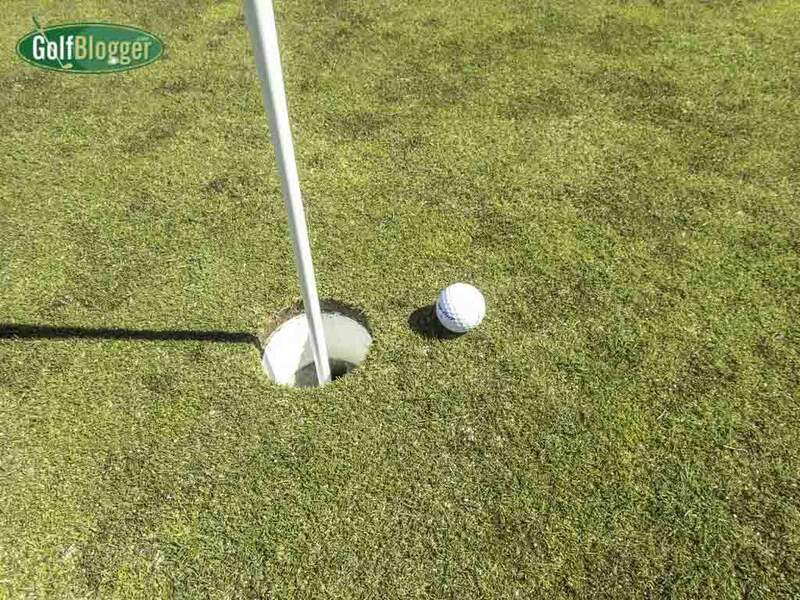 Any ball that heads into the grassy areas is lost forever. 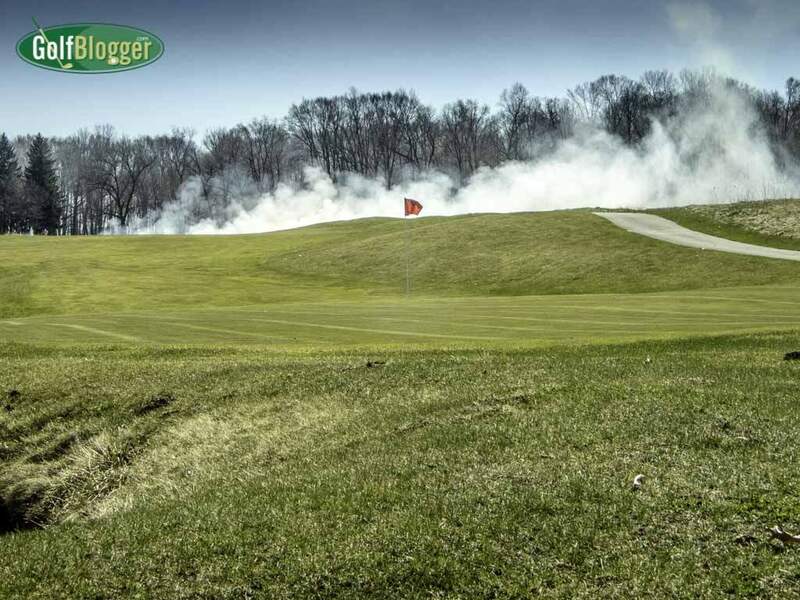 A controlled burn at Calderone Golf Course. My guess is that the burn was designed to clear out the thick, matted grasses that currently coat the ground and make room for new growth.